Ultimately, you will be responsible for our portfolio of products designed for beginners, including our longest-running and most popular courses, Web Development Fundamentals and Advanced Web Development. Also part of your portfolio are our workshops designed for beginners, including our free HTML & CSS workshops as well as paid workshops that don’t have prerequisites. We’re also going to be adding a brand new course for beginners in 2019, so you’ll be a big part of helping us to create it and make it a reality! All in all, through your portfolio you’ll directly impact 800 or more learners in 2019 alone. Reporting to our Head of Continuing Education and with one direct report to support you, you will be an integral member of HackerYou’s 25-ish person team. While experience as a manager is a nice-to-have, we’re also ready to support you in building that skill set. We’re a close-knit and passionate team, and it’s important to us that everyone who joins us fits with our core values: 1) We are welcoming, 2) We are collaborative & community-oriented, 3) We deliver a “Wow” experience, 4) We do what it takes, 5) We do what’s right, 6) We have fun! If those values resonate with you, please...read on! 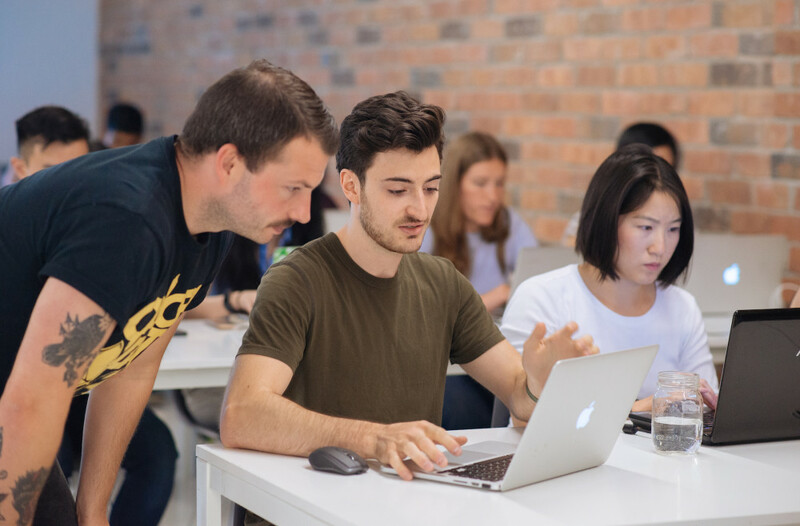 Founded in 2012, HackerYou (also known as the HackerYou College of Technology, now that we’re a registered Private Career College) is a well-loved provider of hands-on, project-based training for people who want to learn to code. We even help people become professional developers! From our 12,000 square foot office in downtown Toronto, we run full-time and continuing education courses year-round. We also run workshops, corporate training events, and we rent out our office to external groups. With thousands of alumni and 1000+ students a year, there’s a large community of people ready to welcome you to HackerYou! Helping to coordinate quarterly meetings for the HackerYou Instructor and Mentor Community for team building, sharing updates, collecting feedback and having fun! To apply, please click here. We’d love to see your resume, and anything else you’d like to provide us! All applications are appreciated, but we will only contact successful applicants to move on to the next stage.